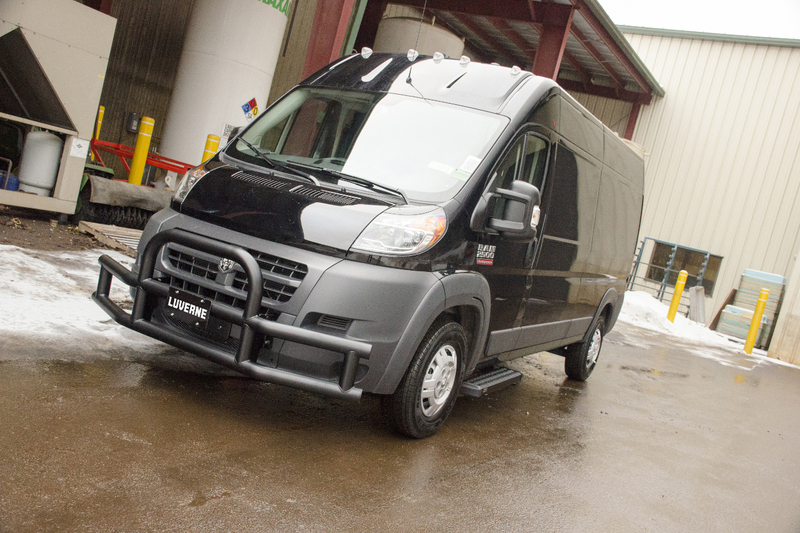 Grip Step™ running boards are truly one of the best choices of running boards for cargo vans. 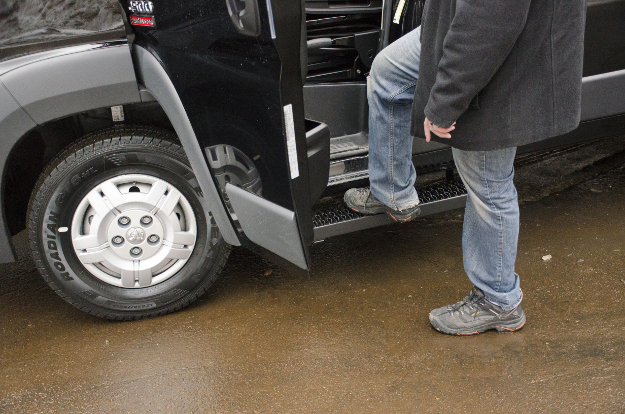 For your small business or commercial fleet, Grip Steps™ provide unparalleled traction when climbing in or out of your cargo van, giving you confidence on the job. 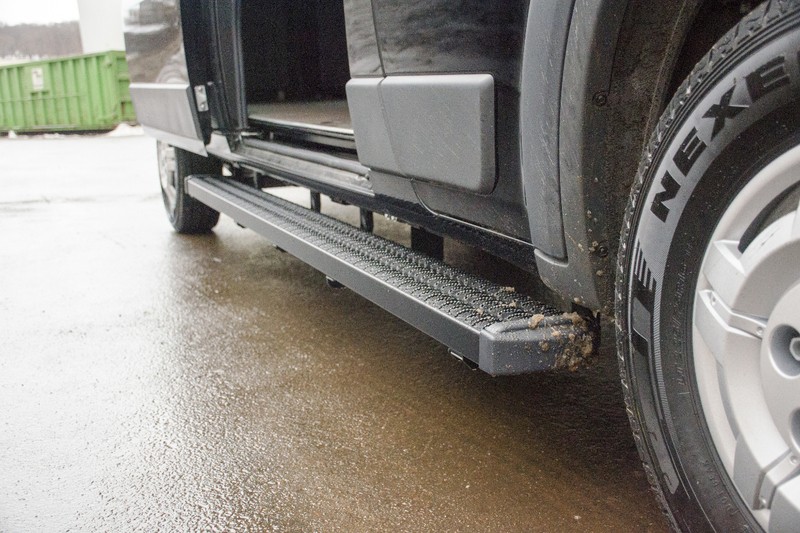 Grip Step™ van running boards are constructed to be highly weather-resistant, easily outlasting the elements of the jobsite or delivery route. 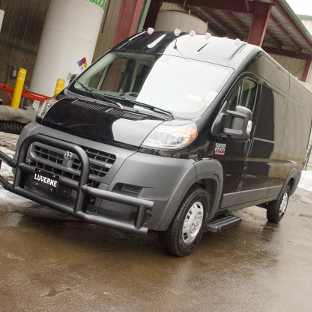 They also feature a durable black finish and vehicle-specific fit for a professional look for your business. Like most LUVERNE truck and van accessories, Grip Step™ running boards are proudly made in the USA. 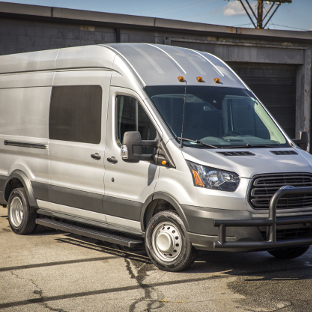 From design to finish, they're built with great attention to detail to withstand tough jobs. 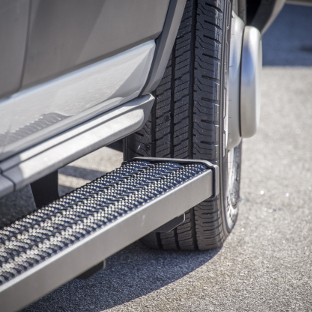 For a hassle-free installation and a professional, original equipment fit on your cargo van, Grip Step™ running boards are designed for vehicle-specific application for a custom fit. 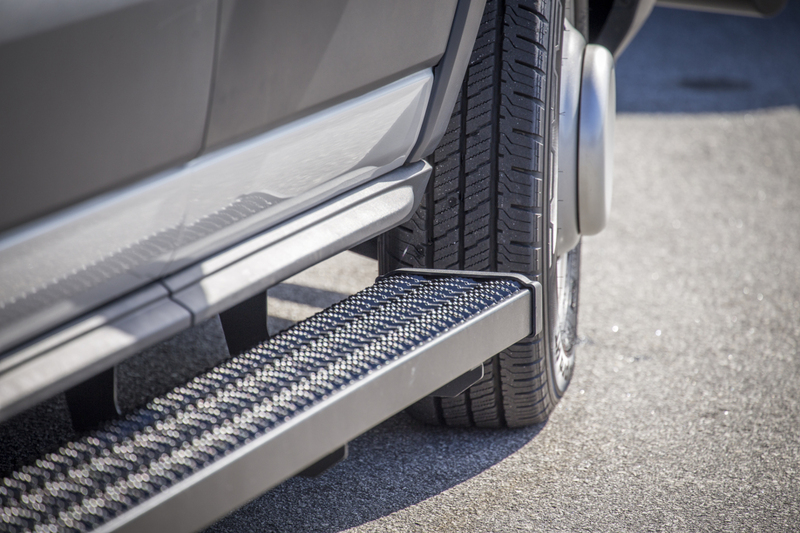 The most distinguishing feature of Grip Steps™ over other cargo van running board options is their unique, expanded metal treads. 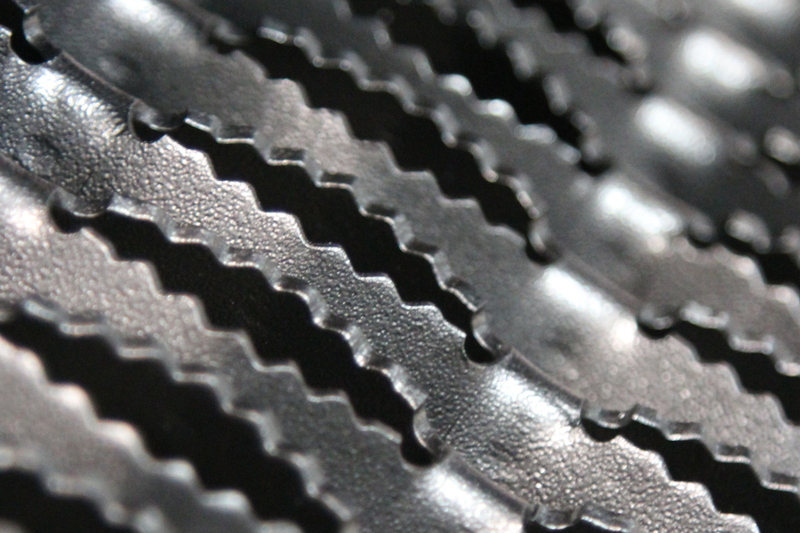 This tread type offers exceptional traction, even in wet and wintery conditions. Unlike most plastic treads, the expanded metal will not wear down under frequent foot traffic. Grip Step™ running boards have been tested in the field and are trusted by many businesses and fleets across North America. The level of confidence and safety that they provide is invaluable on the job. 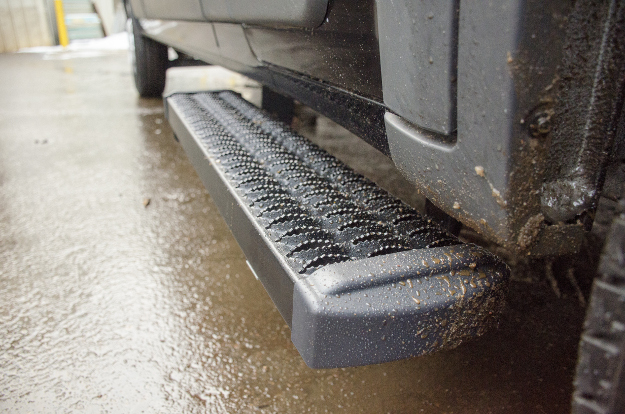 Grip Step™ running boards are available for pickup trucks and work vans. Each set features a vehicle-specific design for a custom fit. 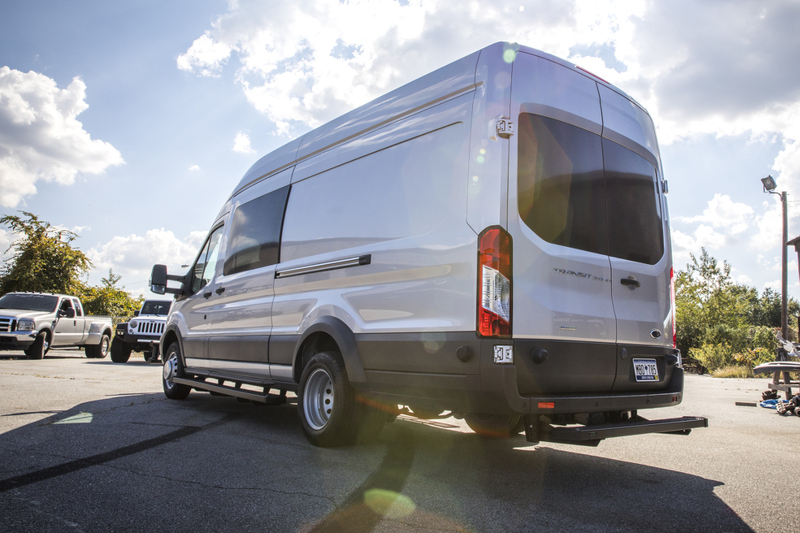 However, we offer a number of unique configurations, specifically tailored to complement the various cargo van layouts. 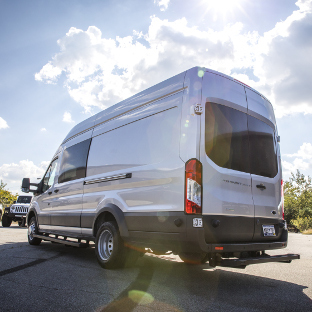 Grip Step™ van running boards are available in short lengths for cargo van driver-side doors, longer lengths for passenger-side sliding doors, full lengths to accommodate both a sliding door and hinging door, as well as several different kitted combinations. We also offer rear steps for easier rear cargo van access. 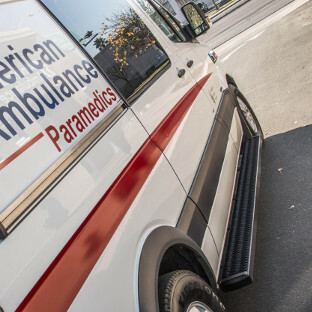 Grip Step™ running boards provide enhanced safety for your cargo van, not only with their high-traction expanded metal treads but also with their expansive width. The boards measure 7" across, providing a safe, comfortable step wherever you need it. 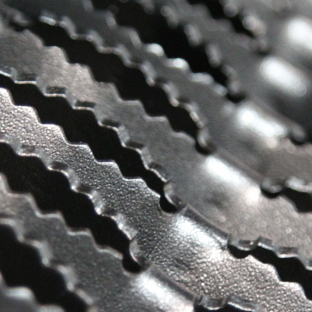 The unique tread design also helps keep your van interior clean. The open treads knock dirt, debris and water off your boots when stepping into the vehicle. The debris is able to pass through the boards, keeping your vehicle cleaner, safer and more professional. 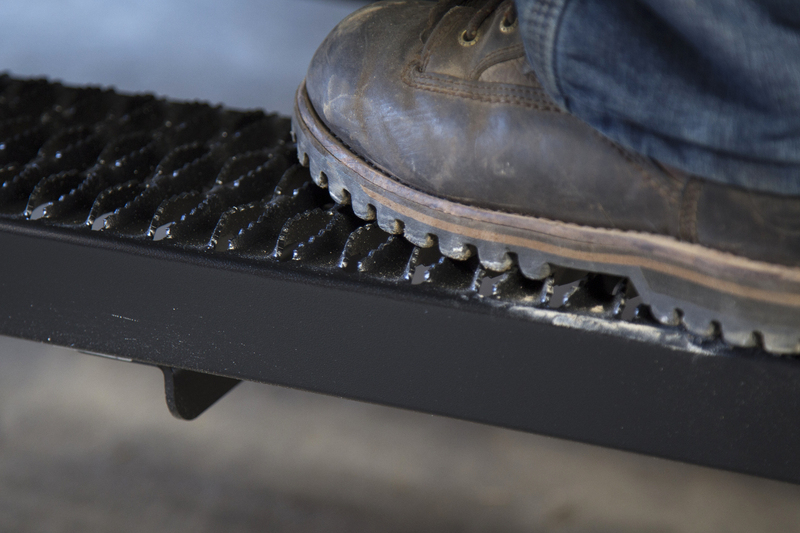 To withstand the constant exposure to sun, rain, snow and other elemental threats on the jobsite, Grip Step™ van running boards are constructed from 5052 aluminum alloy. 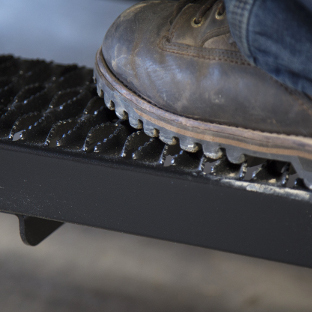 We manufacture Grip Steps™ right here in the USA for dependable quality. The use of aluminum makes the running boards lightweight for improved fuel efficiency and rust-free for long-lasting strength. 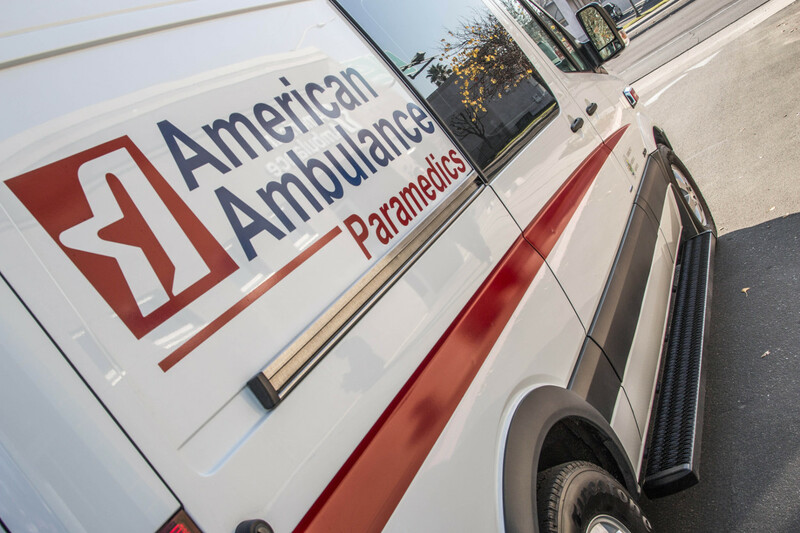 The rectangular design of Grip Step™ running boards provides a strong, rigid step every time you climb into your work van. 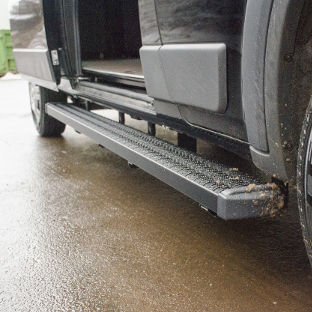 For a professional finish and ongoing corrosion resistance season after season, Grip Step™ van running boards are shielded in a textured black powder coat. This durable finish seals off the aluminum boards from the elements and adds a smart accent to your vehicle and business. 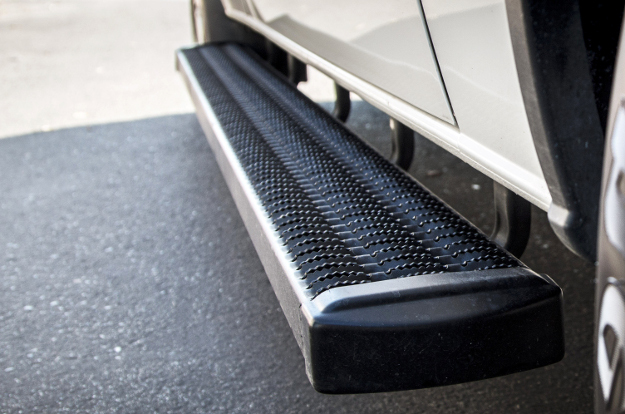 For a final finishing touch, each set of Grip Step™ van running boards comes with rounded end caps to add style and cover the sharp corners of the aluminum boards. 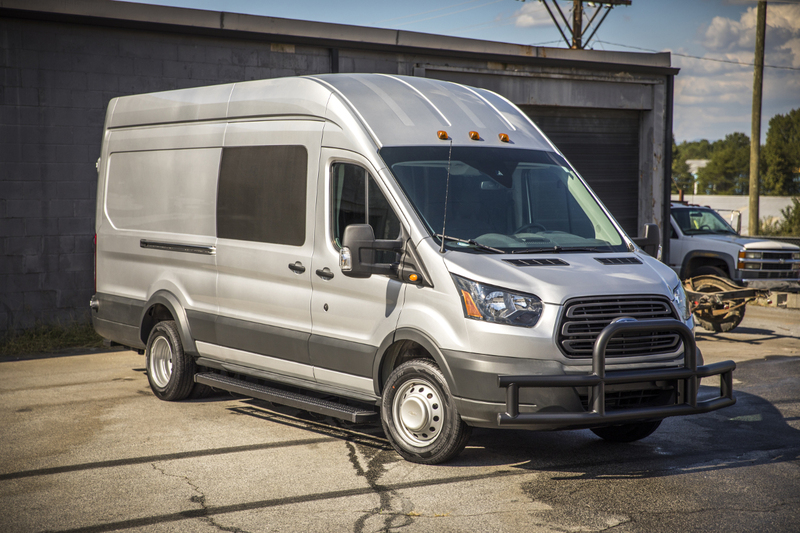 All Grip Step™ running boards, including our cargo van-specific configurations, are designed for a custom-fit installation. This means vehicle-specific brackets are used to mount the running boards onto the van. This results in a faster, easier and more secure installation without the headache of difficult vehicle modifications. 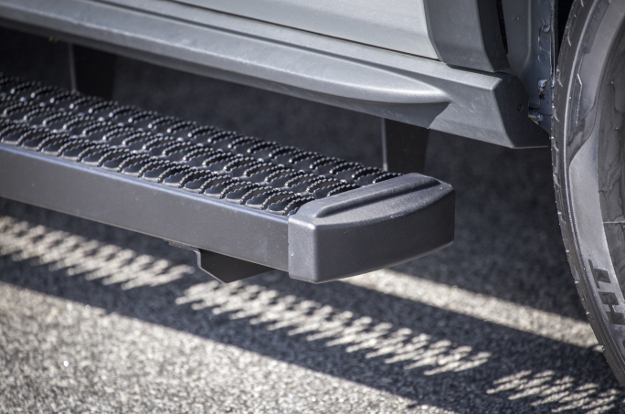 Grip Step™ van running boards attach with powder-coated steel brackets for a strong step and stainless steel fasteners for long-lasting corrosion resistance.